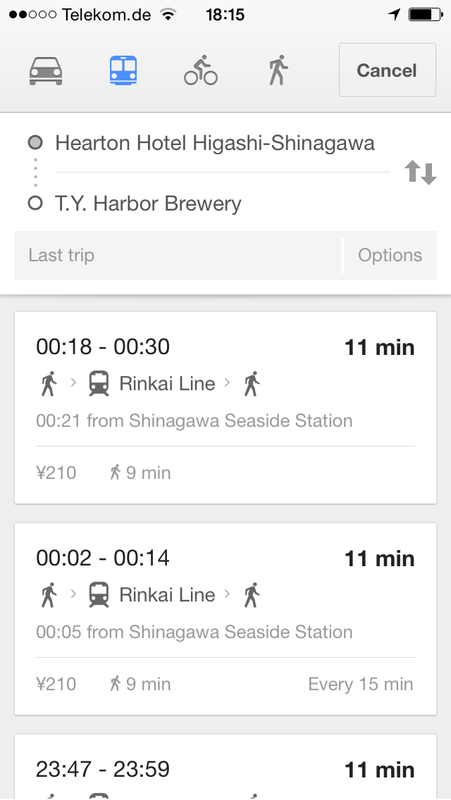 Being in Tokyo as a visitor brings a lot of challenges. 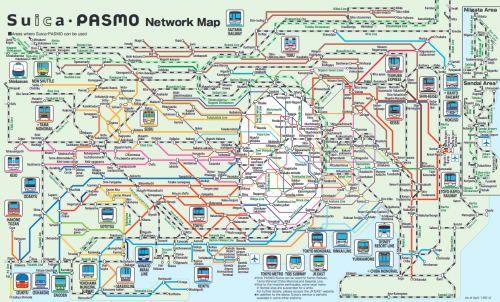 Since you gotta use the public transport offers to get from A to B. Now we had the same challenge this May and this is how we tried to solve it. 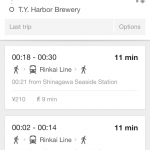 Problem: How do you know which train lines you take and where they are? 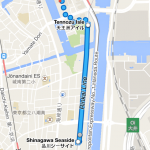 The public transportation feature of Google Maps works like a charm. 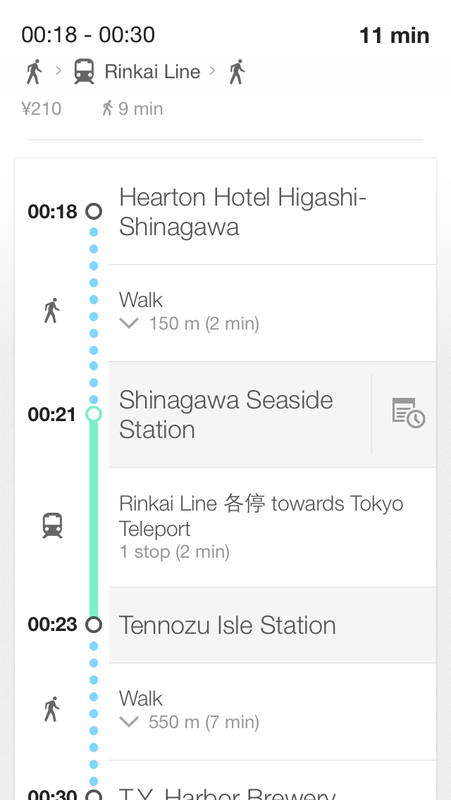 It’s accurate as it can be and offers even walking instructions to get to the right platform or train station. Notice the colored lines next to the different stations. That’s the color you’re looking for on the train. They are color coded! To find your right platform just take the information that Google gives you and look out for it. 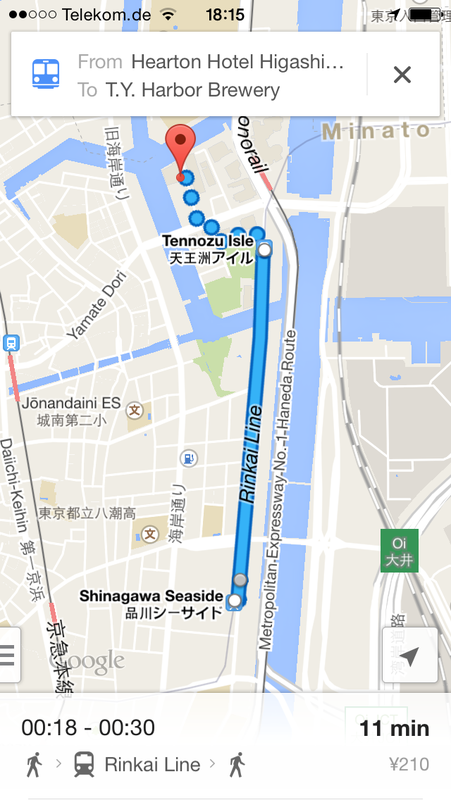 It will be written on signs “Rinkai towards Tokyo Teleport”. Problem: Okay I know which train I have to use. But before I enter the platform I have to pass the ticket gate. How do I buy a ticket? How do I know which one? 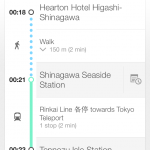 Solution: Get a Suica card and charge it! If you’re a group travelling: Look out for cheap group ticket offerings. 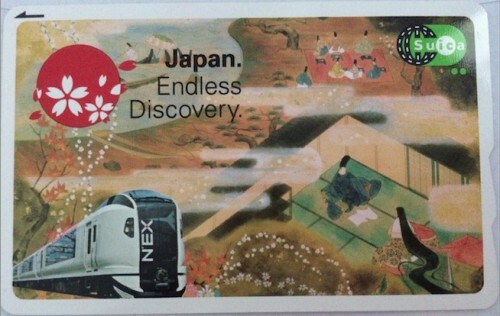 A Suica card (aka “Super Urban Intelligent Card”) can be used instead of buying a ticket. 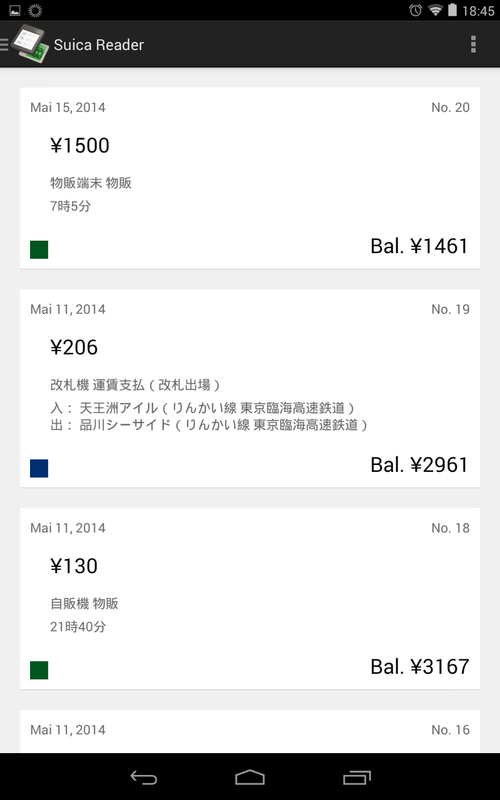 You can buy it where you can buy the tickets – most of the time it’s 500 Yen + charge. Charging it with some Yen is crucical since the gates will not let you in when your card is not at least charged with 210 Yen. You may ask: If I buy a ticket from A to B I have to pay the price upfront. 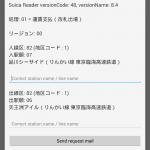 When I use the Suica how does it work then? 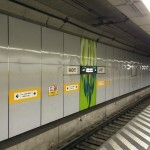 Easy answer: When you enter the train station through the ticket gate you pass it with your Suica card. It will start a journey for you. When you exit it will end the journey. 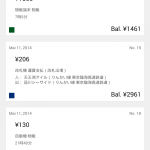 The card and system is intelligent enough to calculate all steps in between, add them up and substract the fare price from your Suica balance. It always takes the cheapest price for single travellers. If you’re on your way as a group you might want to use the ticket machines before going through the ticket gates. The Suica is a personal card and only suited for one person to be used. So you cannot pass it through the ticket gate back and enter the ticket gate again without causing panic with the service personell. To buy tickets for groups I suggest to switch the terminals to english – most of them will offer that option. You then have to specifically know where you want to go. Sometimes it’s the easiest way to just go to the counter and buy them there. Sometimes when you bought tickets you find out that you made a mistake. Fear not! You can give them back and by doing so get your money back. Service personell is awesome and will help you at any time! DO NOT PANIC! 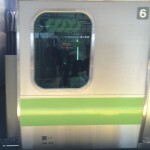 Another awesome feature you get ‘for free’ by having a Suica card is that you can use it with all the vending machines available everywhere in the train stations. Just pick the beverage you want and swipe the card. Done! Beware: fill the card up before going out of the ticket gate when you used it all up! 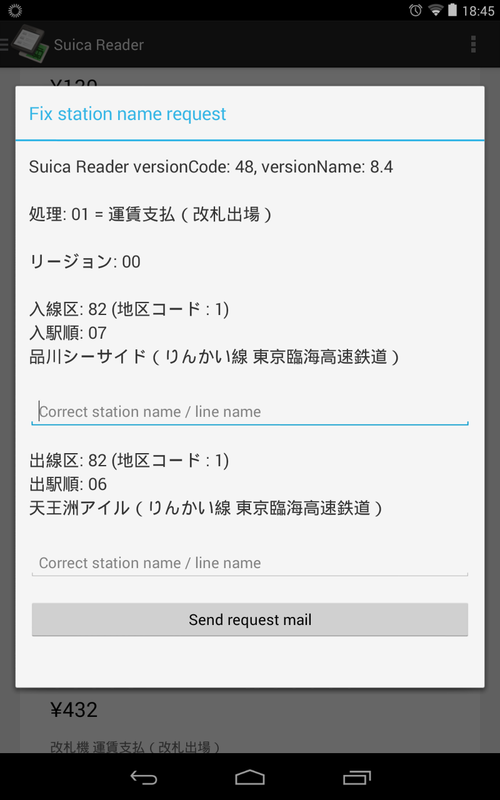 If you happen to have a NFC enabled device (like most Android phones) you can install the Suica Reader app from the Google Store and get information about what happened to your card so far. Stay tuned here for at least some coverage of this years Japan trip. 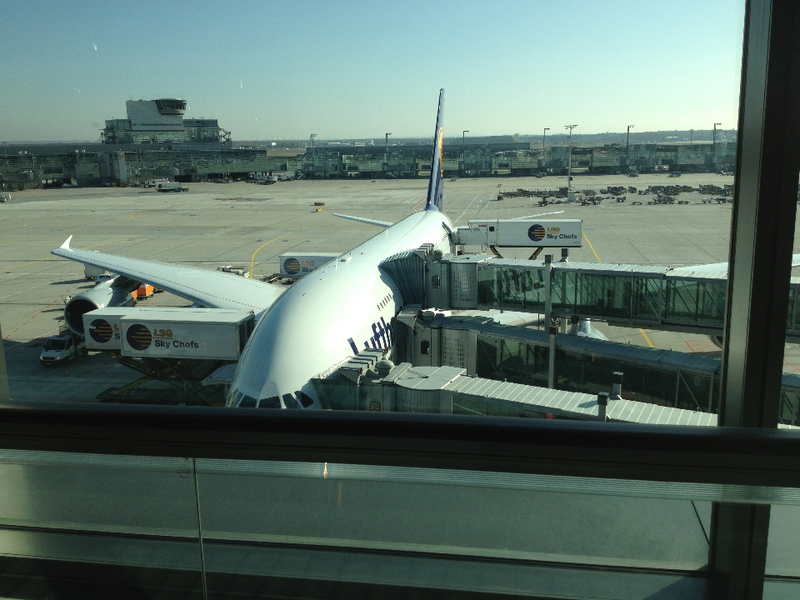 This October I had the pleasure to fly to Tokyo for the second time in 2012. 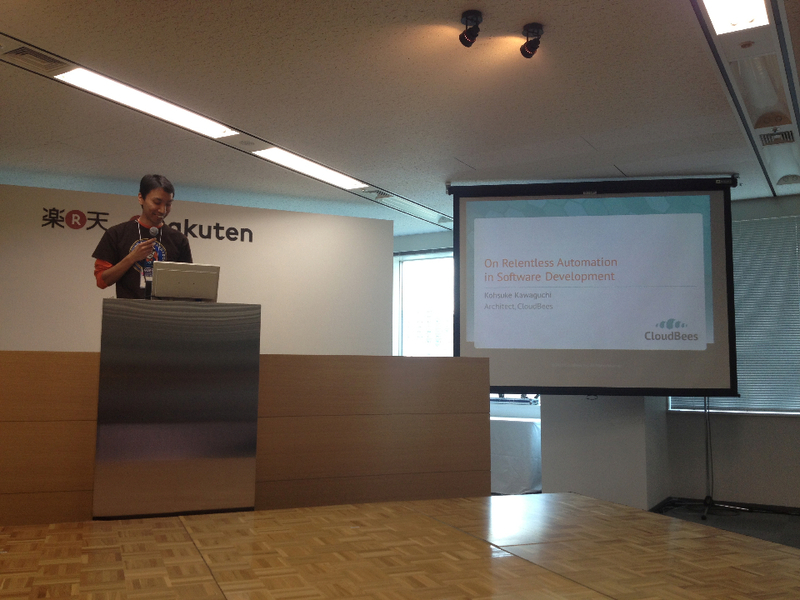 The development unit of Rakuten Japan was hosting the 7th Rakuten Technology Conference in Rakuten Tower 1 in Tokyo. The schedule was packed with up to 6 tracks in parallel. From research to grass-roots-development a lot of interesting topics. There are many things which are underestimated when team leads think about their team and possible actions to drive progress. 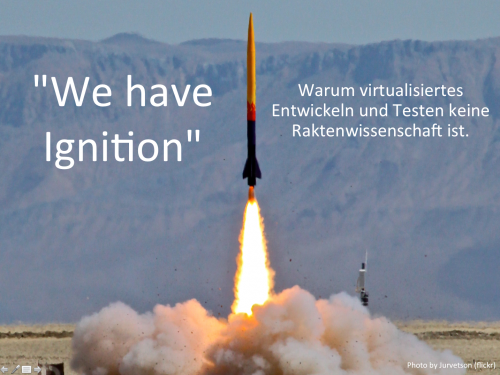 One of those things is that a team needs information to maintain and gain velocity. You cannot expect everyone to know just out of the blue what is important and in which direction everything is moving. To let everyone know and to develop that direction it’s important to share information as much as possible. It’s important to give everyone access to the information necessary to make a better job. That’s why we had a build monitor at sones. 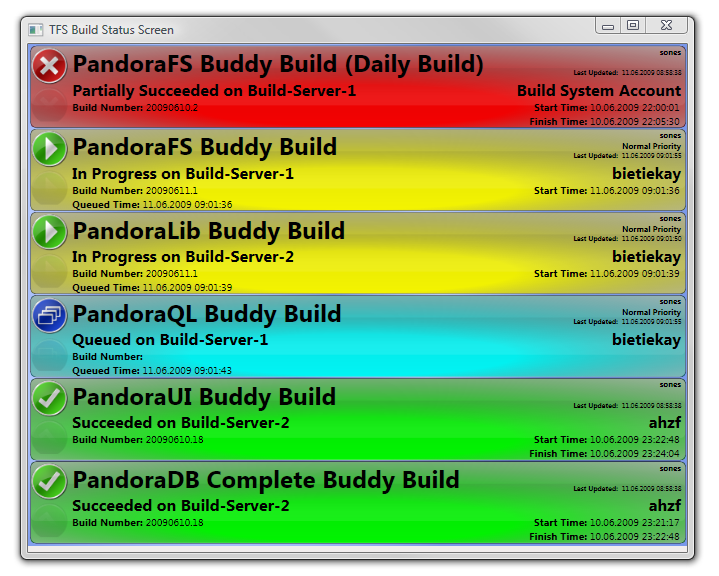 We had a tool that displayed the current status of our build servers to all developers. Everytime someone committed a change, those build servers got this commit, built it and tested it with automated tests. The status of that could be seen by all developers as things happened. So within seconds everyone could see if his commit did break something. Even better: Everyone could see. Everyone cared that the build needed to be working, that tests needed to pass. It was everyones job to do the housekeeping. When we switched from Team Foundation Server to GIT and Jenkins this status display needed to be replaced – you could immediately tell that things went from good to not-so-good in terms of build stability and automated testing. There were like 6 big status screens displaying incoming call status of the day, sales figures and other statistics important to those who work there. It’s a very important and integrated way to keep information flowing. 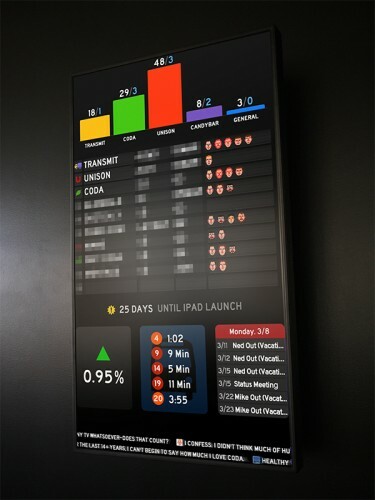 Since in addition to sones there are a lot of more things to track and handle (code, deployment, operations, overall numbers) I think such a status board will be of invaluable worth for the team. Oh dear. I just thought about the fact that I never really announced or talked about the fact that I changed my employee and moved to a (old) new place. Yes that’s right, I am not with sones anymore. 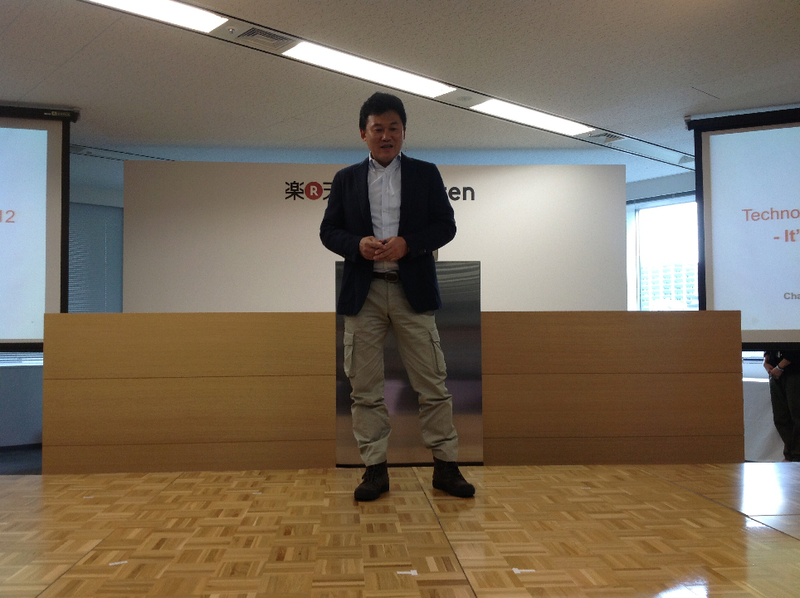 I am since January 1st the CTO of Rakuten Germany. When I signed the contract the company was called Tradoria – one of the first big projects I had the opportunity to work on was the so called brandchange. A humongeous japanese based company called Rakuten bought Tradoria in the middle of 2011 and after half a year it was time to switch the brand. As you can imagine these were busy weeks since January 1st. 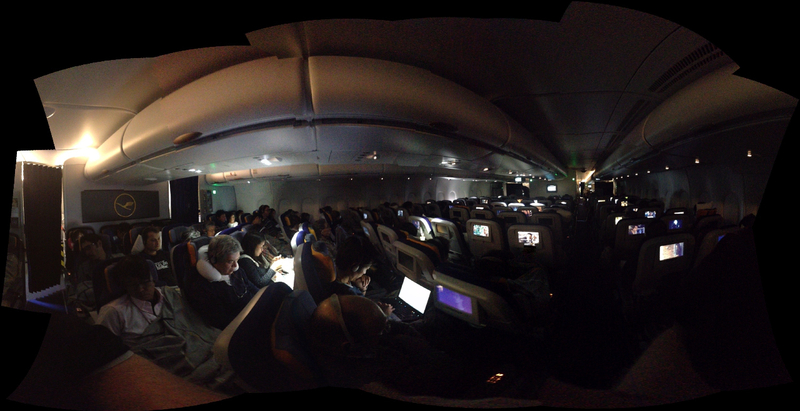 I had to digest a lot of existing technology and products. I met and got to know a lot of interesting people – first and foremost a great team of developers that went through almost all imagineable pains and parties to come up with a marketplace and shop system that is a perfect base for take-off. A short word on the business-model of Rakuten – If you’re a merchant you gotta love it: Think of Rakuten as a full service provider for a merchant and customer. You as a Rakuten merchant get all the frontend and backend bliss to present and manage your products and orders. 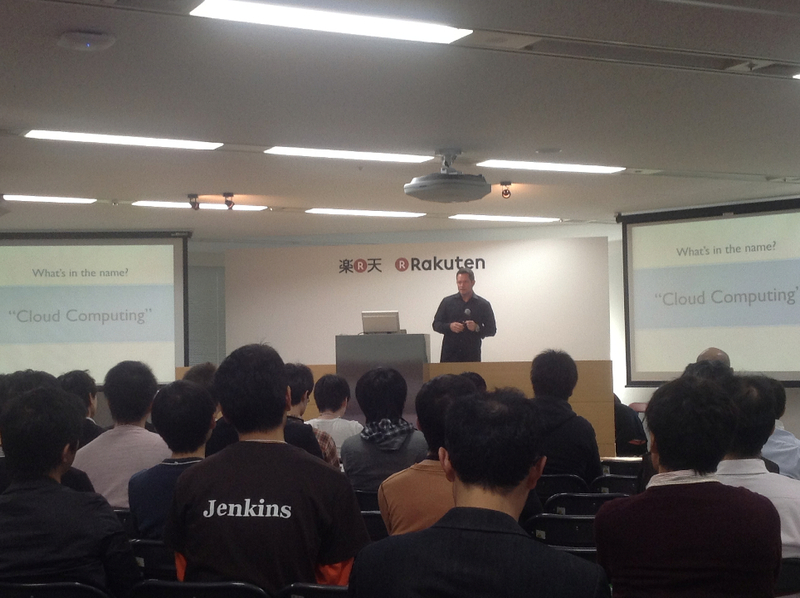 Rakuten takes care of all the nasty bits and pieces like hosting, development, telephone orders, invoicing, payment. The only thing that you as a Rakuten merchant need to do is to put in great products, gather orders and send out packages. Since Rakuten isn’t selling products on it’s own it won’t be competing with the merchants like other marketplace providers do these days. On top of that Rakuten cares for the merchant and the customer. Just a week after that successful brandchange I attended (and spoke) at the Tradoria Live! 2012. That’s basically the merchant get-together. This year over 500 people attended this one-day conference. Think of it as a hands-on conference with features, plans, summaries of the last year and the upcoming one – every merchant is invited to come and talk to the people in person that work hard everyday to make the marketplace and shop system better. Back in germany I had a lot of stuff to learn and work through. We had already moved to a wonderful house near Bamberg – it was pretty much big luck to find it. It’s actually ridiculously huge for a couple and two cats but we love it. Imagine the contrast: moving from an apartment next to a four-lane city street to the countryside just a 15 minute drive away from work with philosophical quietness all around. Now after about half a year I am well into the process. I met a lot of high profile techies and things seem to take up speed in regards of teamplay in germany and with all the other countries. It’s a bliss to work for a group of companies that actually go through a lot of transitions while transforming from start-ups to an enterprise. Ready for a family picture? Ready. Steady. Go! 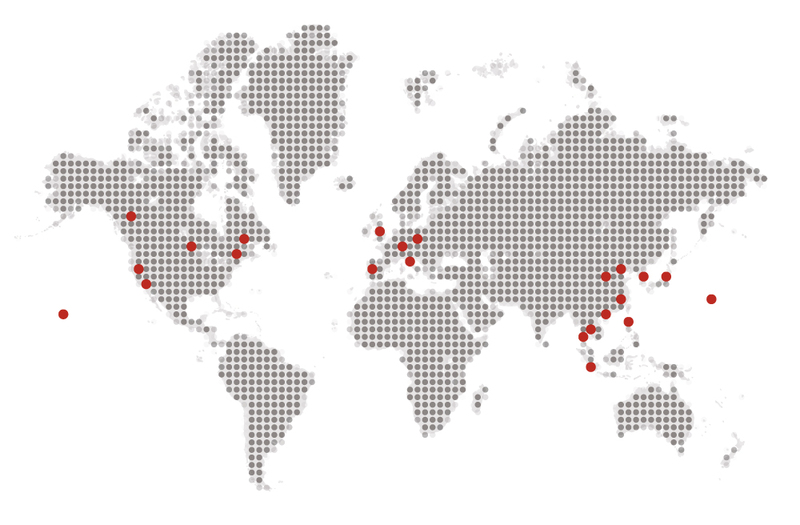 That’s all Rakuten – that’s all on one mission: Shopping is entertainment! Empower the merchants!